Who says getting rush projects done have to be expensive? Everyone needs a leap of faith to meet their deadliest deadlines. Good thing technology, particularly in printing, has evolved to cater human needs such as this. Custom Sizes. 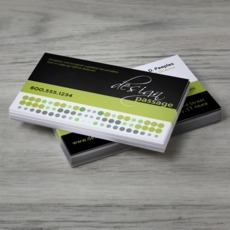 You don’t want to tweak your design once you’re already in a hurry on getting your business cards done. A good printing company caters several standard and custom size options to make the job easier for you. Paper Types. Whether you are considering printing your cards on paper or card stock, you also have the chance to choose among matte, glossy and high gloss finish to make them more appealing. If your printing company doesn’t offer these options, move on. Bulk Orders. Getting 10, 000 prints done in 1 business day? What else can be better? You don’t have to worry about not meeting the deadline or not being able to hand out your business cards to a bunch of potential network for your event in a few days. Free Proof. Given the pressure of your coming business venture or deadliest deadlines, you may not have the time to check your design for technicalities before printing. UPrinting makes sure that your file is print-ready before printing your order to make sure that you get the best quality for your prints. Need to know more about business card printing? Feel free to contact us at 1.888.888.4211 or through our Live Chat button and one of our customer service representatives will be happy to assist you!